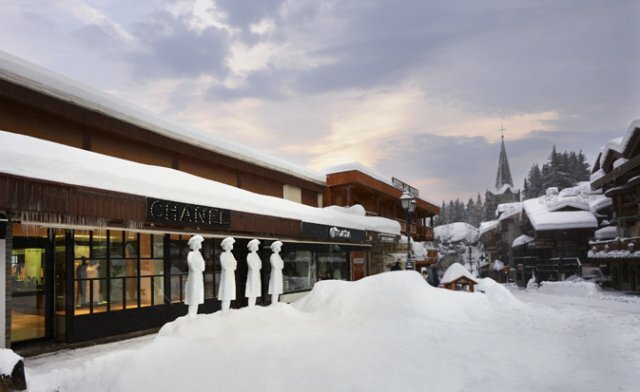 Courchevel is proof that you can have it all: perfect skiing, fine dining, beautiful scenery and a sophisticated nightlife all in one stunning resort. Strictly speaking, the resort is actually separated into four distinct villages distinguished by their altitudes — 1300, 1550, 1650 and 1850 — but we’re focusing on the highest resort Courchevel 1850. 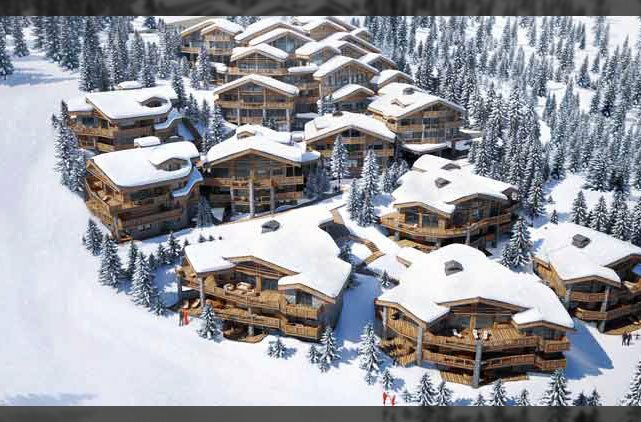 Simply named “Courchevel”, it’s the highest resort that attracts all the attention and famous guests. Courchevel is cosmopolitan enough to match many international cities but retains a unique alpine charm. We have some suggestions on how to spend your time if you’re lucky enough to spend 48 hours in the glamorous ski resort. The roads leading to Courchevel from the airports are picturesque, but they take two to three hours and are subject to a lot of traffic. Although they are well-maintained, the roads just don’t have the wow factor that arriving by helicopter does. Fortunately, Courchevel has its very own altiport which receives private small fixed-wing aircraft and helicopters. The Courchevel altiport is infamous for its high elevation (2,008m) and precarious approach which is surrounded by deep valleys. Courchevel Altiport has attained the dubious honour of being one of the most dangerous airports in the world. 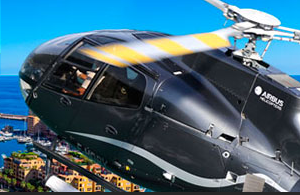 However, the skilled pilots of Heli Securite are exceptionally well trained and have an impeccable track record of landing at the altiport. 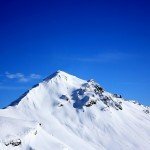 Rest assured that you’re not the only person to land safely on the mountain; you’ll be following in the tracks of Sir Elton John, Prince William and Kate Middleton and the Beckhams. 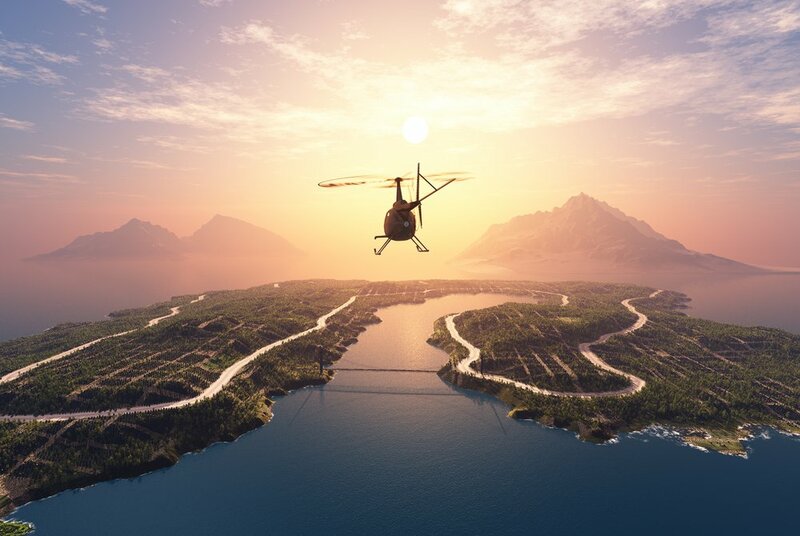 James Bond also flew here in the film Tomorrow Never Dies and though you’ll arrive much less dramatically, it will still be the most exciting luxury helicopter transfer that you ever experience. 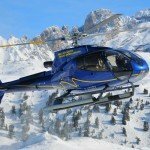 The helicopter traverses jagged mountain passes, circles wooden chalets and tiny alpine villages to eventually soar past the skiers dotted around the slopes. It’s an unforgettable trip already and you still have more than 47 hours left in Courchevel! Courchevel is home to some of the most exclusive accommodation in the Alps. The whole resort exudes sophisticated luxury, but no area more so than the highly-prized Le Jardin Alpin area at the top of Courchevel 1850. The area contains two of the best hotels in France: The Cheval Blanc and Les Airelles. These hotels have attained an extraordinary 6 stars, earning themselves the prestigious title of Palaces (a new rating implemented in 2011) to reflect their outstanding pedigree. Courchevel is the number one destination in the Alps for fine dining with no less than eleven sublime Michelin-starred restaurants. The two Michelin star Le 1947 is one of our favourites and is the creation of the Parisian chef Yannick Alléno, who serves refined Savoie mountain delicacies from his open kitchen. The restaurant has an intimate feel because it only hosts 25 guests a night. The perfectly-groomed pistes of Courchevel are a joy to ski. Not only are they north-facing, so the snow stays in fantastic condition, but its modern lift system links to the wider Three Valleys area. 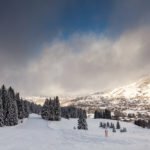 It’s a perfect family ski destination since it has a host of ski schools and an abundance of runs that cater exclusively to beginners and intermediates. 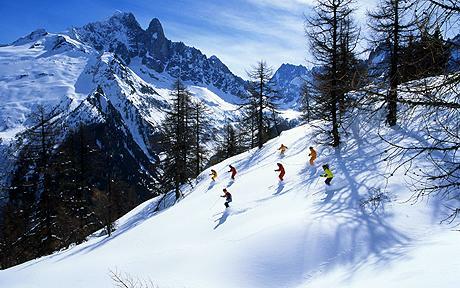 However, strong skiers are also rewarded with some steep slopes in the centre of Courchevel’s ski area. There are plenty of black runs and off-piste skiing, including steep couloirs and powder bowls which are excellent for advanced skiers. After a long day on the slopes, it’s time to soothe your aching muscles and joints. Make use of the fabulous facilities in your chalet or hotel, such as wellness centres and Jacuzzis. The ultra-modern spa at Hôtel des Trois Vallées was built by top designers and it has a sauna, a mosaic-tiled Turkish bath, and an oversize Jacuzzi. The Sisley Spa at L’Apogee on Rue le Jardin Alpin is even more luxurious and almost impossible to leave once sampled. Non-skiers can while away the hours in the resort’s numerous shops that cover everything from delicatessens and florists to sports shops and designer boutiques. There are more than 100 shops catering to a discerning demographic and they include all the top designers like Chanel, Gucci and Dolce & Gabbana. Meanwhile, skiers can stock up on the most stylish sportswear and equipment available. 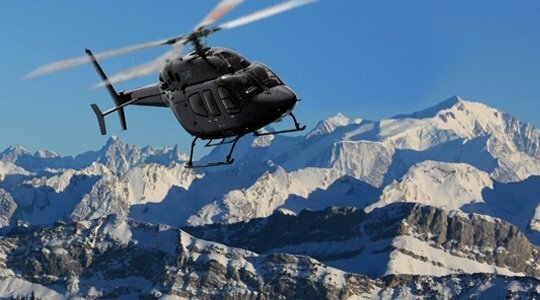 A luxury helicopter transfer to Courchevel takes just 30 minutes from Geneva compared to a 2-3 hour car journey. 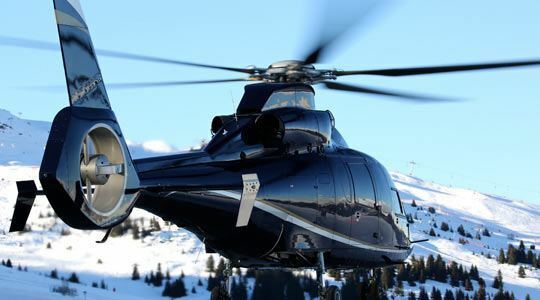 Contact us if you’re interested in flying to the most sophisticated and chic ski resort in the world.